The Mahindra Marazzo MPV has recently launched at a starting price of Rs 9.99 lakh. Currently, except for the Renault Lodgy, which is anyway an unpopular model, there’s no direct rival of the new MPV. Moreover, it’s the most modern vehicle in the company’s current line-up, which seems to have impressed the new car buyers. There’s not only enough buzz but people are actually buying the new vehicle. Waiting period of some of the trims has already crossed 45 days in some places. In this post, we analyse the reason for the high popularity of the latest Mahindra. Prices of the Mahindra Marazzo start at just Rs 9.99 lakh (ex-showroom). At this price point, it is much cheaper than the Toyota Innova Crysta, which has a starting price of Rs 14.65 lakh. Even the top-end variant of the Marazzo, at Rs 13.85 lakh, ends up being a lot cheaper than the entry-level Innova Crysta. The aggressive pricing strategy that Mahindra has adopted for its premium MPV seems to have worked well. In spite of a competitive price tag, the Mahindra Marazzo MPV offers a modern and a powerful engine. Powering the latest Mahindra model is an all-new 1.5-litre mHawk turbocharged diesel engine that outputs a maximum power of 121 bhp at 3,500 rpm and a peak torque of 300 Nm between 1,750 rpm and 2,500 rpm. The motor comes mated to a 6-speed manual transmission. In spite of a high power and a high torque output, the motor offers an ARAI-rated fuel efficiency of 17.3 kmpl. The Mahindra Marazzo MPV is the world’s first vehicle to have a transversely-mounted engine and FWD along with a ladder on frame chassis. Traditionally, ladder on frame chassis is accompanied by a longitudinally-mounted engine that sends power to the rear wheels. On the other hand, monocoque construction allows transversely-mounted engine that sends power to the front wheels. Combining the two layouts has helped Mahindra come up with a new architecture that has qualities of both the formats. 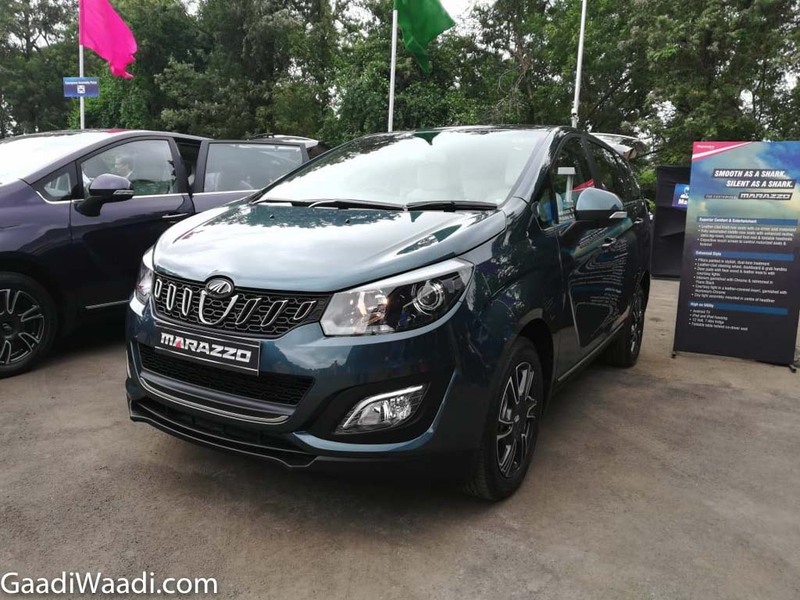 While the Marazzo enjoys the ruggedness that comes from a ladder-on-frame chassis, longitudinally-mounted engine with FWD has helped the company keep the ride height of the Marazzo under a check, which has, in turn, helped it to improve the dynamics. It also leads to reduced transmission losses and a higher efficiency. 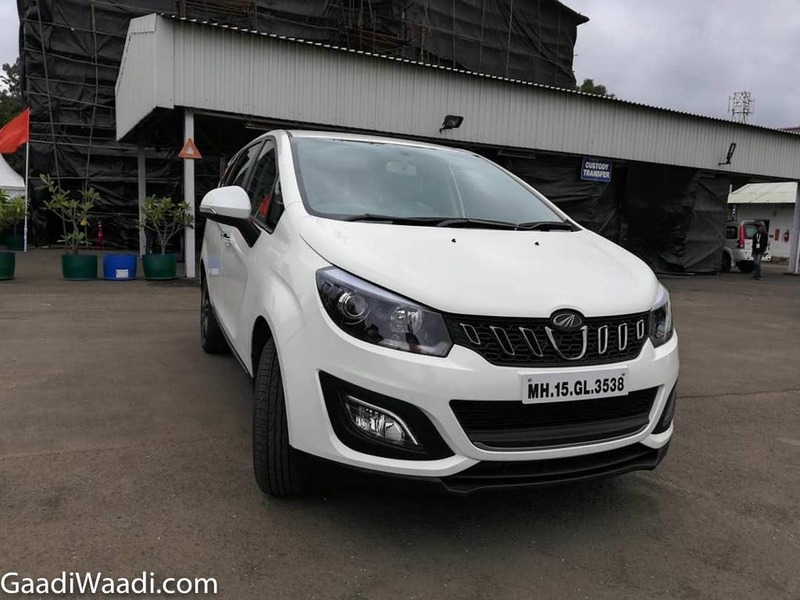 The Mahindra Marazzo MPV is available in both 7-seater and 8-seater layouts. 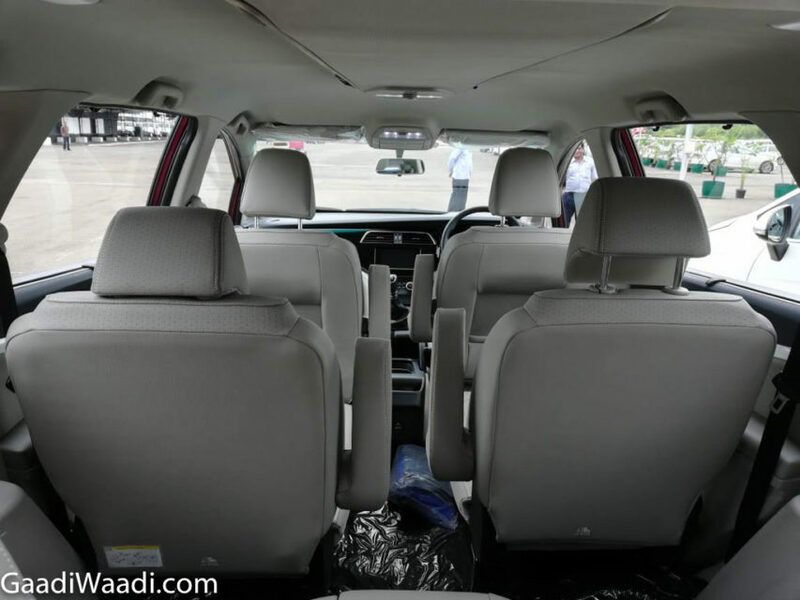 By just paying Rs 5,000 extra, one can opt for the 8-seater format, which is something that will be highly appreciated by people who have large families. The 7-seater layout, which is the standard format, offers two captain seats in the second-row and a bench seat in the last row. The 8-seater layout has bench seats in both the rows. The availability of multiple seating configurations seems to have worked in favour of the new model. The Mahindra Marazzo MPV features disc brakes on all four wheels. Other than this, it complies with the latest pedestrian safety norms. In fact, the MPV also complies with side and rear crash norms that are not applicable to this segment. As per the company it has used 52% high-press steel for the bodywork of its latest model. The top model offers dual front airbags, ABS with EBD and brake assist, ISOFIX child seat mounts, and a rear camera with sensors and dynamic guide lines. Not only this, the new model also offers a first-in-segment emergency call feature that connects the paired phone to emergency services and to registered emergency contact numbers with details of the vehicle’s location in an event of the airbags getting deployed.